What Mcdonald's Crews Did Is Heart Melting! The employees of Mcdonalds in Brgy. Balibago, Sta. 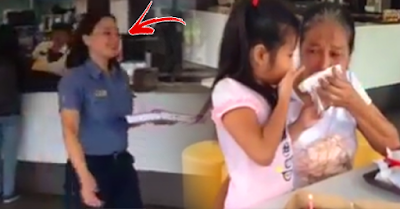 Rosa Laguna gained respect from netizens after their video went viral on social media. Sharmain Tacluyan, restaurant manager uploaded a video where a mother went to their restaurant and asked if they can give them discount for they cannot afford to buy food for her daughter who was celebrating her birthday on that day. Nevertheless, the restaurant has no promo such as that so they cannot give any discount. So the manager and the crews decided to make a simple party for the little girl. They blew balloons, played happy birthday song and decorated pancakes and put candle on it. The mother shed tears of happiness. She cannot explain the happiness she felt for her daughter. The kindness showed by the staff gained praises from the netizens.